Posted on Tue, Feb 7, 2012 : 6:59 a.m. The New Theatre Project welcomes Kevin Kautzman, playwright of "If You Start a Fire (Be Prepared to Burn)," to conduct a workshop for budding playwrights. On Saturday, Feb.18 from 2-5 pm, he will lead The Write Stuff: A Workshop in Dramatic Writing at the Mix Studio Theater in Ypsilanti. In The Write Stuff, participants will explore two fundamental concepts in dramatic writing: urgency and writing for action. They will have the opportunity to discuss these concepts with fellow participants (with an emphasis on examples and tactics for implementation) and to write original work using the concepts. Participants should bring materials to write by hand. The workshop will include discussions, writing and sharing work, and a Q&A with Kevin. The cost of the workshop is $30 (or $25 for students/seniors/industry) which includes admission to "If You Start a Fire [Be Prepared to Burn]." If participants are not able to attend the performance on Saturday, Feb. 18, their tickets can be used for any time during the run of the show (playing until March 4). Advance reservations are required for the workshop. Email keith@thenewtheatreproject.org by Feb. 12 to book a spot. 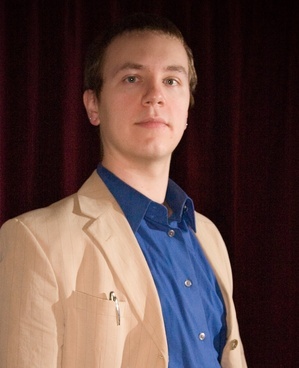 Kautzman is a playwright originally from North Dakota pursuing his M.F.A. with a focus in playwriting and screenwriting as a Michener Fellow at the University of Texas at Austin. He began studying playwriting in London at the Royal Court Theatre, where he became a core writer out of the Young Writers Program. He has received commissions from Red Eye and History Theatre, and his work has been performed, read and/or developed at places including the American Story Project, the Living Theatre, the New Theatre Project, Nouveau 47, the Players’ Guild Theater, the Playwrights’ Center, Poliglot Theater, the Soho Theatre Studio (UK), the UK National Student Drama Festival, and Zeitgeist Theater. Honors include the Jerome and Michener fellowships and Tennessee Williams Scholarship ("Then Waves"), Lavender Magazine’s Best Playwriting ("Iris") and the International Student Playscript Competition and Repertory Theatre Iowa’s Alpha Project awards ("Coyote"). He has been a finalist for the Yale Drama Series and Pen Center awards ("Then Waves") and the NNPN Smith Prize (Quiver). He is an alumnus of the University of Minnesota, where he studied history and philosophy, and is a member of the Dramatists Guild Inc., the Playwrights’ Center, and Scriptworks. More information may be found at www.kevinkautzman.com.